A trio of Mozilla Fellows recently released a browser extension designed to keep Facebook‘s advertisers from pigeonholing you. We’ve argued that Facebook should pay users for their data, but in lieu of that, at least this tool makes it harder for the social network to exploit it. Fuzzify.me is a browser extension for Chrome or Firefox that collects information as you browse Facebook. It shows you which advertisements you’ve seen and, if available, gives Facebook‘s reason for showing the ad. It features single-click access to your Facebook ad settings and an interface that allows for bulk removal from categories. Facebook relies on your inability to keep up with its algorithm to continuously serve you advertisements based on what it, and its advertisers, believe you’ll be into. In essence, it’s a data collection agency disguised as a social network. It really only does one thing: Categorize its users so advertisers can more easily target us. The vast majority of us simply don’t care. Somehow we’ve been convinced that toxic comment sections, pictures of people’s kids, and “free” access to Candy Crush is payment enough in return for our data. But that data has made Facebook one of the richest companies in the world, despite the damage it’s done. Facebook isn’t all bad, and it may even have good intentions most of the time. But it’s a for-profit company – a very for-profit company. And that means its primary motivation is to exploit your data for money. Once you’ve managed to do all that, you’ll find cards representing all the advertisers targeting you. You can click on each one to remove them (provided you have enough time to get through them all). And then, once you’ve finished, you can return to your normal Facebook browsing. Of course, you’ll have to return regularly and clear these categories out. 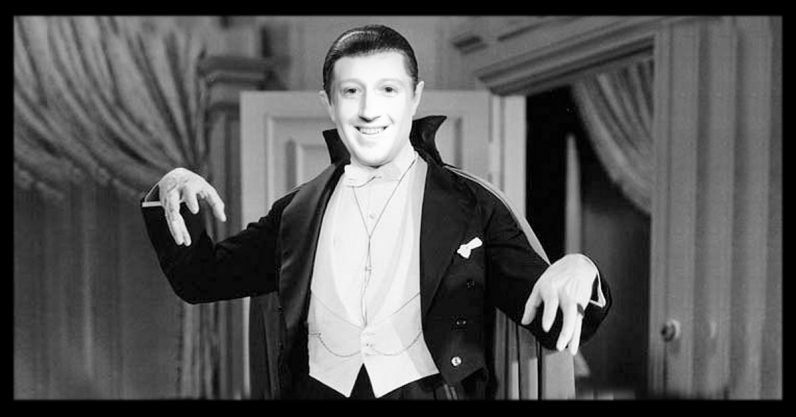 Facebook doesn’t make it particularly easy to “opt-out,” but Fuzzify.me fixes that problem. It’ll remind you regularly to clear your ad preferences. And, instead of a lengthy process involving the removal of dozens – if not hundreds or thousands – of individual advertisers one at a time, you can clear them with just a few clicks if you’ve got the extension installed. Fuzzify.me was created by three Mozilla Fellows, Hang Do Thi Duc, Becca Ricks, and Joana Varon. Like everyone else they’re inundated with advertisements when they use Facebook. Part of their inspiration for building the project is the crappy way the social network’s advertisements target women. 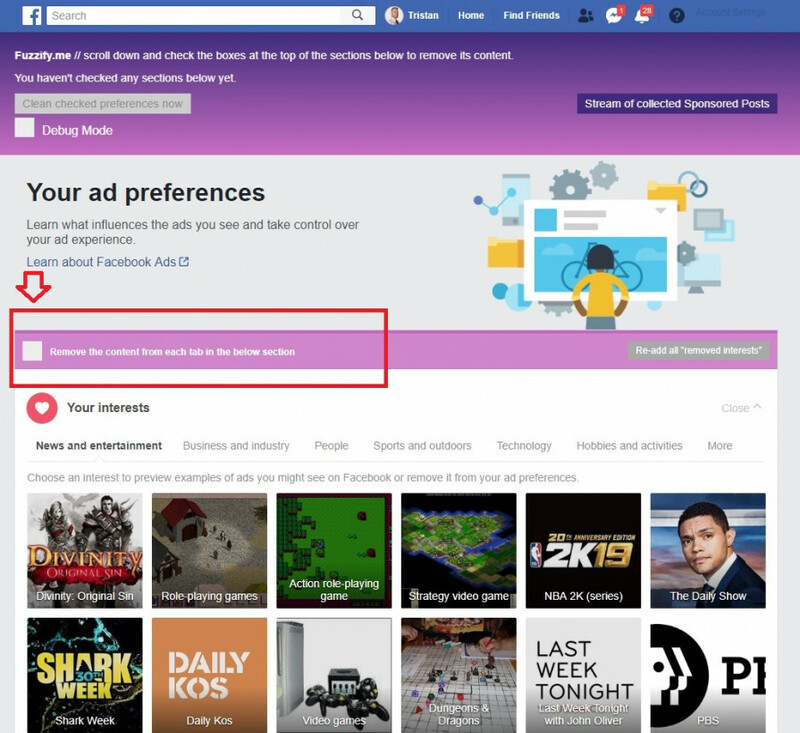 Facebook‘s developers make it difficult for you to manage your ad preferences on purpose. They know you probably don’t have the time and inclination to resist its data collection efforts. The team behind Fuzzify.me wants to help you prove them wrong.